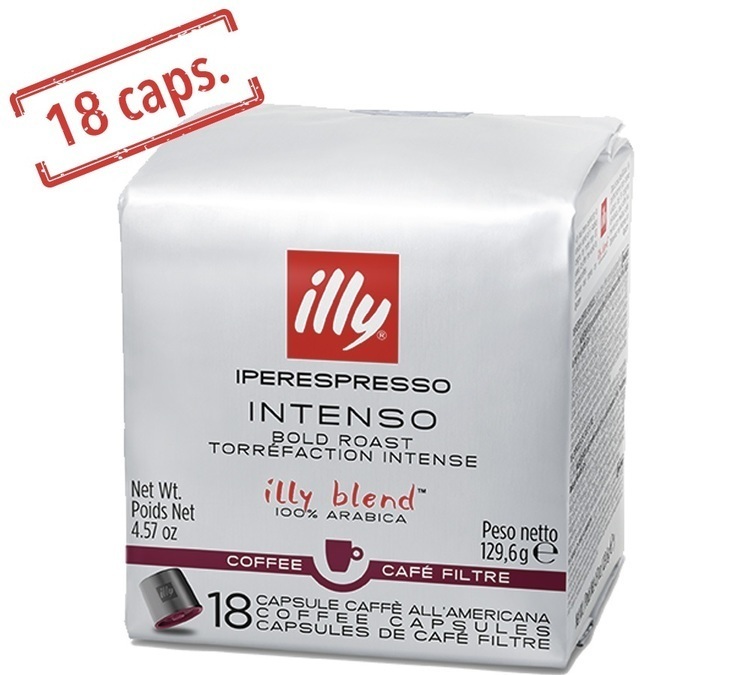 The Illy Iperespresso "Intenso" capsule contains a bigger dose of ground coffee to make a real quality filter-style coffee. These capsules are only suitable for Iperespresso machines with the "ESPRESSO & COFFEE" logo (Y5. E&C and Y5 milk E&C models). Very strong coffee. 1 pack of 18 capsules.